things like spinach dip, fruit trays, cucumber sandwiches and desserts. Traditionally a cake would adorn the food table ready to be cut into and shared, but lately cupcakes have been gaining popularity. They are the perfect size for snacking and create less mess as you don't have to worry about a cake knife and forks for everyone. 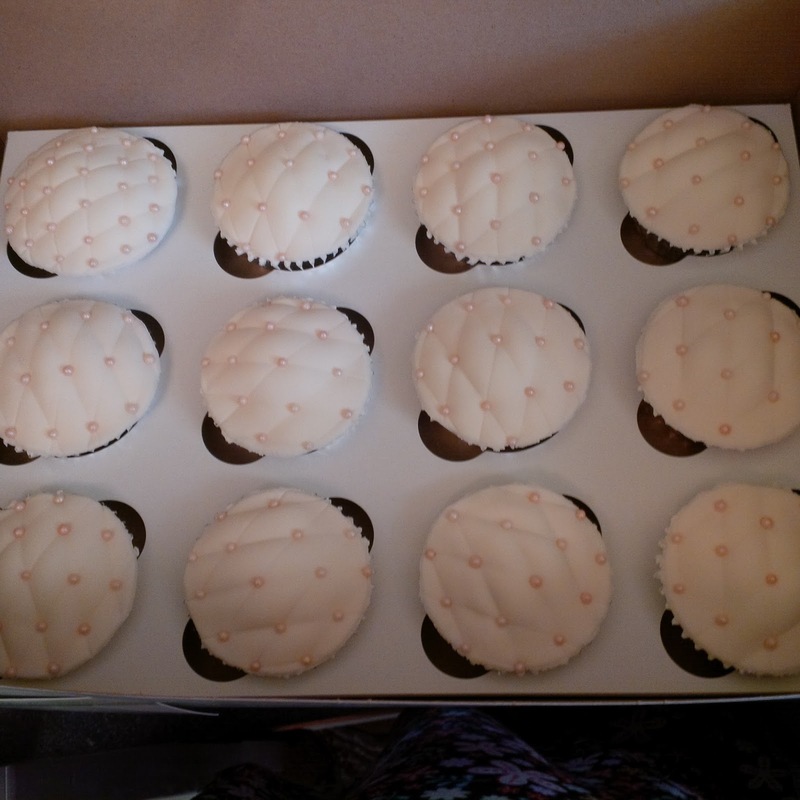 I was asked to make cupcakes for a wedding shower, something pretty and girly. 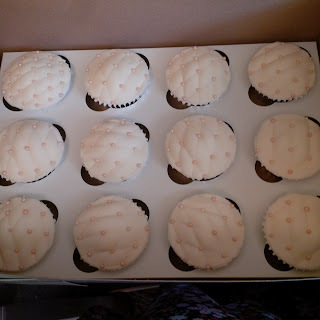 I ended up making 4 flavours, vanilla, salted caramel, pink satin and pink champagne. I think pink champagne is a perfect cupcake (or cake) flavour for a shower, even the name sounds celebratory. The decorations were delicate and feminine. 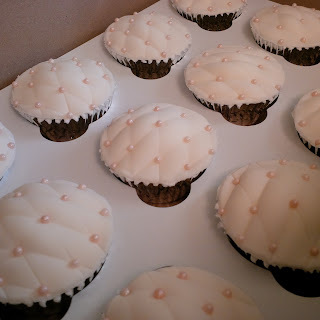 Most of them had tiny sugar flours atop the buttercream, but I choose to decorate a dozen of them in a quilted fondant pattern. Cupcakes or cake are meant to sit out at a party and be part of the decorations. I wanted to make sure they fit in with the theme.